Kovalam in Kerala is not only famous for its sun kissed shores or palm fringed beaches but also because of the holistic treatments of Ayurveda. Ayurveda is an ancient form of treatment which originated years back in India. 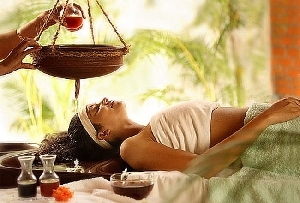 Ayurveda offers a range of holistic treatments which refreshes your body and soul. Kovalam in Kerala also offers a range of Ayurvedic therapies. Tourists from all over the world come to Kerala to benefit from the rejuvenating properties of Ayurveda in Kovalam. The herbs of Kerala have unique properties due to the special climate of the region and these are the herbs that contribute in making Kerala, one of the Ayurvedic hotspot regions of the country. Moreover there are people in Kerala who are quite well versed with the language of Sanskrit and they can infer the Ayurvedic treatments from the inscriptions which were written centuries ago. Kovalam is famous throughout the world for its golden beaches and blue waters of the Arabian Sea. 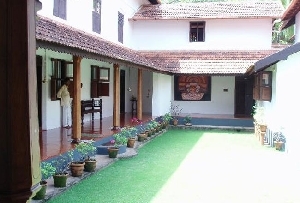 It also has Ayurvedic Beach Resorts which offer holistic therapies of Ayurveda in Kovalam. If you are planning to spend your vacation in resorts which offer Ayurveda treatments in Kovalam then Somatheeram Resort is one of them. Excellent cottages and holistic treatments make Somatheeram Ayurvedic Beach Resort quite a favorite resort. The Ayurvedic treatments offered in this beach resorts helps you to strengthen your immunity and prevents you from other diseases. Apart from these there are a number of resorts which offer holistic and refreshing treatments of Ayurveda in Kovalam. So plan a tour to Kovalam in Kerala and enjoy the breathtaking beauty of the beaches and indulge in some Ayurvedic treatments to make your vacation a perfect retreat.